Google Apps for Work is Google's service for business that allows you to manage custom branded flavors of Google's services on your own custom domain. Google offers this service for paid subscribers, and Google also offers a free version for education institutions. Some older users are grandfathered in with free, limited versions of Google Apps for Work, but Google stopped offering free versions of the service. Domain registration is not included, but you can set up and register a domain through Google Domains. Google Apps can be found on the Web at www.google.com/a. 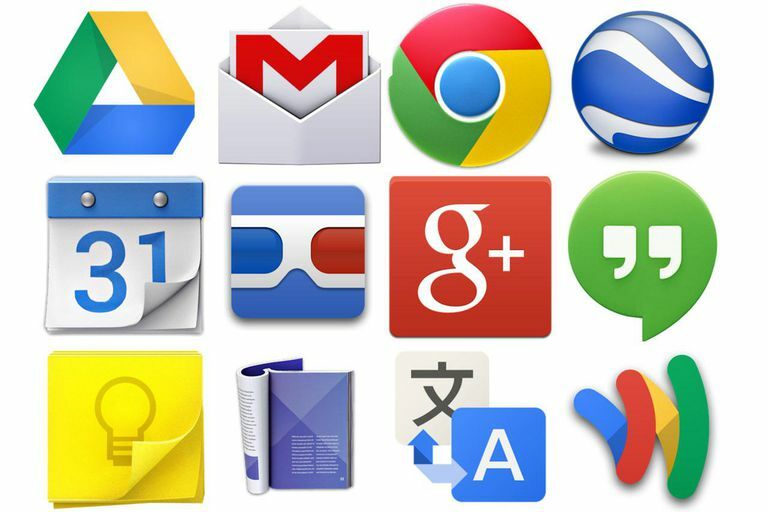 What Does Google Apps for Work Offer? Google Apps offers Google-hosted services under your own custom domain. This means that if you're a small business owner, an educational institution, a family, or an organization and you don't have the resources to run your own server and host these sorts of services in-house, you can use Google to do it for you. You can also use custom instances of things like Google Hangouts and Google Drive in order to facilitate collaboration within your workplace. These services can be blended into your existing domain and even branded with a custom company logo. You can also use the same control panel to manage multiple domains, so you could manage "example.com" and "example.net" with the same tools. Google Apps is a direct competitor with Microsoft Office Live. Both services offer hosted email and Web solutions, and both services have free entry level solutions. Even though the two services are targeted towards similar audiences, much of it depends on your preference. Microsoft Office Live would work well when all users run Windows and use Microsoft Office. Google Apps will work well in situations where users have different operating systems, have easy access to the Internet, or do not necessarily use Microsoft Office. A lot of organizations may simply prefer Microsoft's tools to Google. Although you can use both services in a large organization, most large companies opt to run their own server (usually with Microsoft Exchange). Both companies seem to be banking on the user's familiarity with their services as a selling point. Education institutions can use the premium features for free through Google Apps for Education. Current pricing levels are $5 per user per month for basic services and $10 per user per month for "unlimited storage" and other premium features. Migrating an existing Web site to Google Apps is not a straightforward process for a small business. You have to go to your domain hosting service and change the CNAME settings. Registration for new users (without a domain) is a seamless process that just requires your name and address and your desired domain name through Google Domains. Although it is nice to have the flexibility to integrate parts of services with Google Apps, it would be much easier if Google registered the domains along with hosting the services. It would be nice to see integration with Blogger. Blogger accounts can't be managed from inside the Google Apps control panel, although Blogger does offer a separate solution for integrating with an existing domain. This wouldn't be appropriate in a situation where you want multiple users to maintain separate blogs. Google Sites does allow users to make announcements, and this is almost like a blog. Google has also hinted that Blogger integration may be coming in the future. It would also be nice to have easy Google Checkout and Google Base integration for small businesses that use the Web to sell goods and services. Google Docs & Spreadsheets is nice, but the service needs some major improvement to compete head to head with Microsoft Office. Spreadsheets should be integrated into documents, and Google Presentations is not quite a PowerPoint killer. Where Google has the leg up on Microsoft is that Docs & Spreadsheets lets multiple users simultaneously edit the same documents instead of checking them in and out. If you have an existing Web site but would like to integrate some Google features, you should give it some careful consideration, especially if you need to share documents and need to work with at least one computer that is not running Windows. Google Page Creator doesn't give you a lot of design options, so Google Apps shouldn't be the only source for Web pages if your company Web site depends on custom HTML, Flash, or integration with a shopping cart service. This means that you will most likely need to purchase a larger package from your hosting service, and that package may already include most of the features Google Apps offers. If you do not already have a domain, and you want to get started quickly and inexpensively, Google Apps is fantastic and possibly one of the best deals available. If you are using SharePoint, it's time to give Google Apps a serious glance. Not only can you organize different files and create Wikis with Google Apps, you can edit all your files simultaneously. It's also considerably cheaper.